Our condo is located on the first floor of the C building. 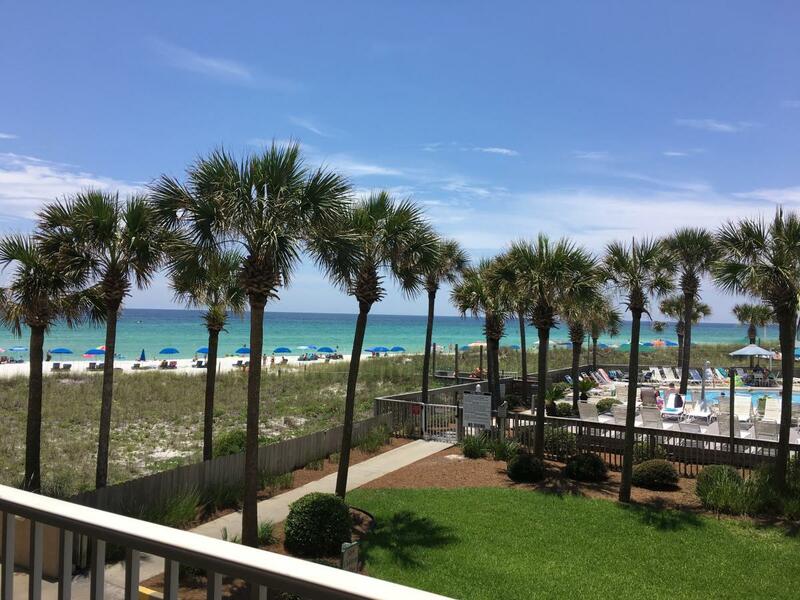 You can enjoy the beautiful view and relax to the sounds of the waves hitting the shore. Being on the first floor, gives you easy, convenient access to the pool and beach. The stairwell is just out the front door to the right and the elevator is out to the left. You will also enjoy the reserved covered parking spot that comes with renting this condo. The kitchen and bathrooms have been remodeled. We removed a wall in the kitchen to give the condo an open and airy feel. You will find all the necessary cooking and eating utensils for an enjoyable dinner in if you choose. In the family room, you can relax in comfort in the two swivel rocker recliners and kick your feet up and enjoy the amazing view. Watch your favorite shows on the 55” HD flat screen TV or a movie on the DVD player. Access the large balcony that runs the width of the condo from either the family room or the master bedroom. The master bedroom has a plush pillow-top mattress. You can relax in the King size bed and enjoy a view of the beach and pool or you can watch your favorite show on the 32” flat screen TV. There is also a DVD player. The guest bedroom has two full size beds with pillow-top mattresses. It also has a 32” flat screen TV with a DVD player. Easy Check-In/Check-Out - We have made arrangements with the on-site rental company in the C building to handle our check-ins/outs and any cleaning or maintenance issues. This assures that any problems can be handled quickly on-site. If the problem is not resolved to your satisfaction, you can also give us a call. The Dunes of Panama is a gated, beach front community with 1500 feet of prime sugar-white beach. 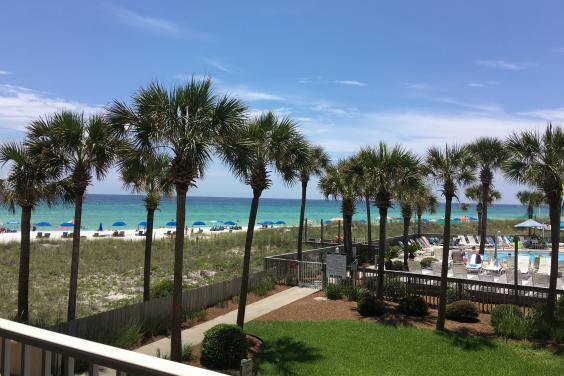 It has three beach front pools (one heated seasonally), basketball, two lighted tennis courts, shuffleboard, a beach volleyball court, and outdoor grills. There are jet ski rentals, parasailing, and banana boat rides available on the beach for rental. You can also borrow equipment from the office to play tennis, shuffleboard, beach volleyball, Frisbee, board games, bocce, corn hole, etc. There is also an exercise room and free wireless Internet available for your use. With the Suds Weezer's sandwich shop located right on the property, you never have to lift a finger. PLEASE NOTE: If you are looking to rent two condos or if you would like a condo on a higher floor, please view our other condo at VRBO Listing #246584. **Our condo association rules require our renters to be at least 25 years old or be accompanied by two parents or legal guardians for the length of the stay. This is strictly enforced.